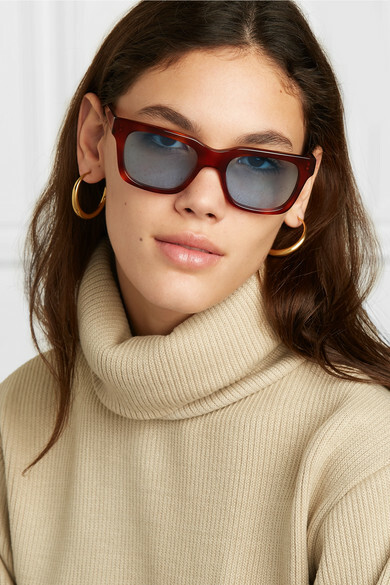 Le Specs' Adam Selman said he gets a lot of inspiration for his collections from films - these 'Fellini' sunglasses look like they've been pulled straight from La Dolce Vita. 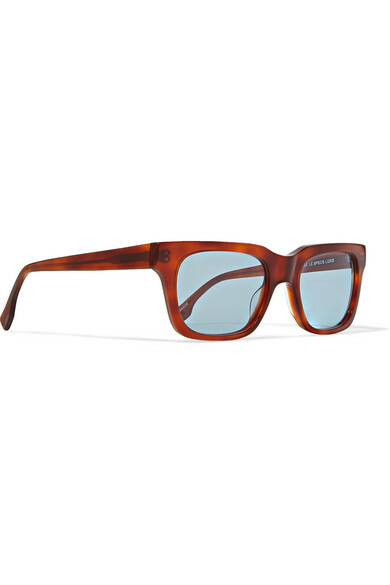 This pair is made from tortoiseshell acetate in a sleek, square-frame shape offset with blue lenses. Shown here with: Orseund Iris Sweater, Dinosaur Designs Earrings.